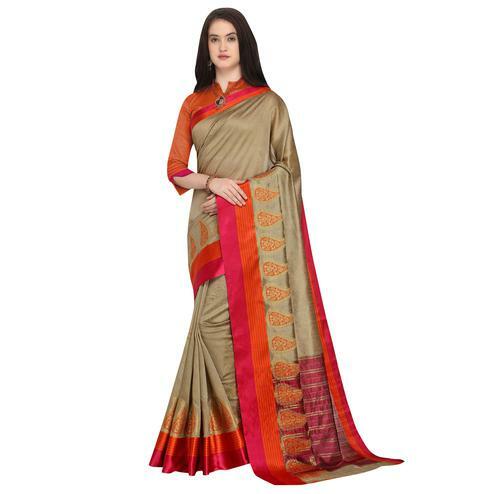 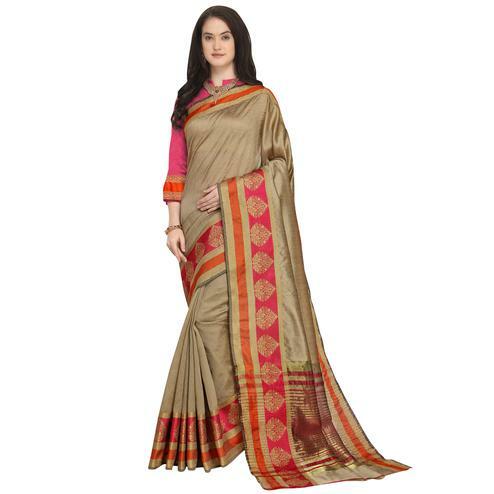 Enhance your charm with this empowering green colored casual wear silk saree. 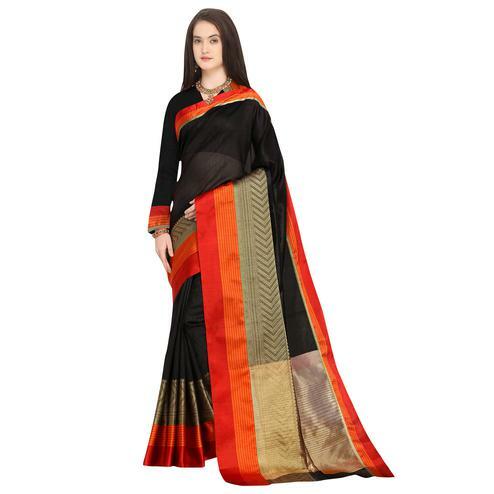 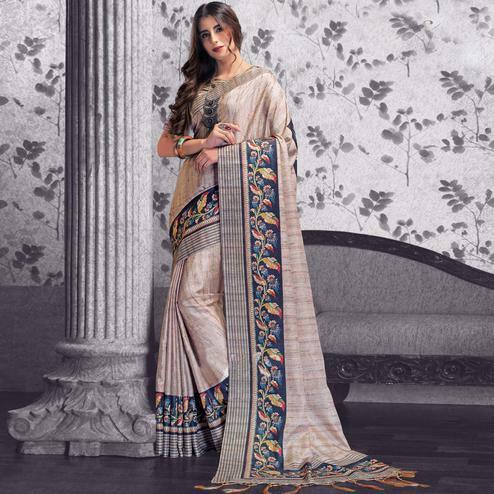 This saree has a beautiful green hues from light to dark and stripes is the best touch to the saree. 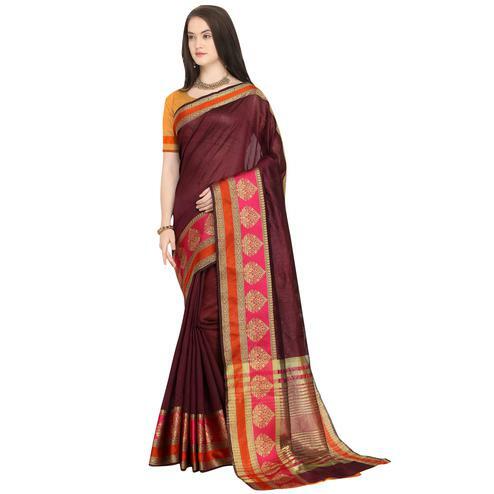 The tassels will compliment your style when you drape the saree.The saree comes along with an un-stitched silk blouse.You can wear this at casual days at work, social gatherings,meetings and outings. 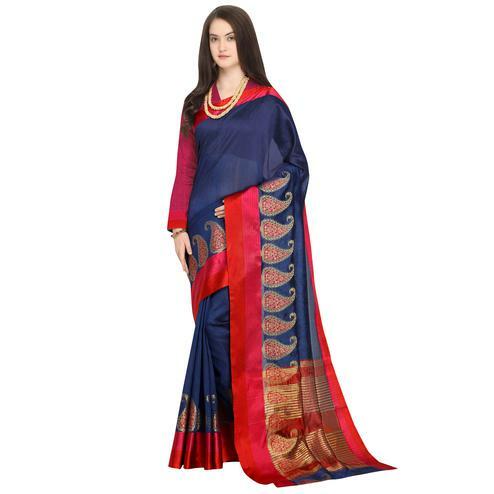 Pair it with a contrasting color accessory and you will look astounding.